3. From the edit screen change the town displayed in the first row Results to reflect the location for the results you will be including below. Delete the links to the results (highlight and use delete key). then, either, drag and drop the files you want to upload onto the page or click the Select files button. 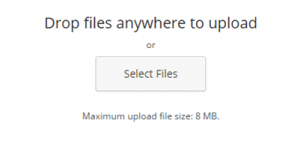 Multiple files can be uploaded by using control click to select more than one file. 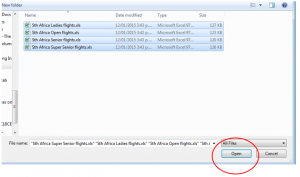 Once files are selected click open to begin upload. 6. After upload check that the Title is correct for each of the files by clicking on the file icon and checking the Title to the right of your screen. The title is the text that will be used on the front of the website to link to the attached files. 7. Click insert to post. Note: when inserting multiple files at the same time the website will insert the links ‘inline’ rather than on separate lines. 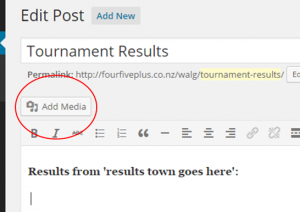 Using your curser click between the titles and hit enter to ensure the links are listed on separate lines. Click update to save the edited page (blue button right hand side of screen). Don’t forget to check your changes.